Our mission is protecting inventors, innovators and entrepreneurs. We do this by helping them secure the freedom to operate, and gain leverage over competition. In general, most successful business leaders seek competitive advantage and freedom to operate their companies. They seek competitive advantage by securing patent grants and registrations to constrain and block competitors from using their intellectual property. 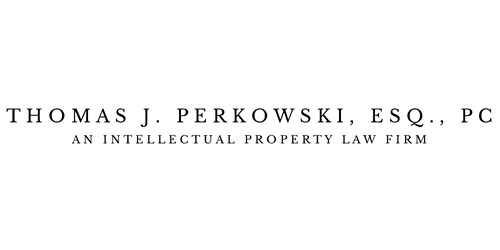 They secure freedom to operate by designing around the intellectual property claims of competitors and creating defenses against potential claims of infringement. For over 30 years, we have been helping clients secure freedom and leverage as they grow their businesses and market share. Contact us today and learn what we may do for your company, on time and within budget. For decades, we have been helping clients secure freedom to operate their businesses and gain leverage over competition in diverse markets around the world. Achieving such protection requires a winning strategy, great analysis and diligent execution. Visit "Our History" and learn what motivates us to do what we do. We believe a picture is worth a thousand words. Visit our Client Photo Gallery and learn about some of the things we help protect. Visit our Patent Gallery and review some of the US Patents we have secured for our clients to help protect their products, services and brands. Back in 1990, a young patent attorney was sitting in the Search Room of the "Old" US Patent Office Building, in Crystal City, Arlington, Virginia. He was performing a prior art search. During a break, he began thinking about the importance of pioneer inventions to our country. That afternoon, he was inspired to search for a collection of US Patents containing Claims to Invention directed to important pioneer inventions in America. After two years of research, and hundreds of microfiche downloads at the New York Public Library, "Claims to Fame and Fortune" (CFF) was completed in December 1992. 25 years later, our nation's trade imbalance and unemployment has reached unprecedented levels. Millions of people are wondering about the nature and causes of wealth in our nation, and how new jobs will be created for millions of Americans who can't find one. Today, pioneer inventions are widely viewed by many as having great potential for shaping and developing the economy of our nation, and inventors, scientists, and engineers are viewed as our nation's greatest resource for wealth creation and national prosperity. Download a pdf copy of Claims to Fame and Fortune (CFF) today, and learn more about the importance of pioneer inventions to our economy.